I’m not going to write this post and say that the first week of the whole30 was easy, because it wasn’t. The first week was out of control at work with birthdays galore and you know how I love treats. I had to turn down cake and cookies and died a little inside. Day three was what I think hell on earth is like. I thought I was dying. My body hated me and all systems were shutting down on me since I took away their precious sugar. I had a ridiculous headache, ringing in my ears and just wanted to lay down on the floor and end it all. It’s definitely been all good from there. I’m sleeping better, I wake up easier in the mornings and I just feel better. Yes, at some points in the day I want a cookie or some cheese or a yogurt for breakfast but not having those things isn’t the end of the world. There are a ton of amazing resources out there with great recipes. This book is amazing. I’d consider it my compass through the whole30. I’m only going to say this one thing about it: IT HAS A RECIPE FOR PALEO RANCH DRESSING. I rest my case. Currently I’m on day 9 and I won’t lie, I miss baking a lot and can’t wait to get back to it once I can actually have a bit of what I make but I don’t think I’ll ever sit down and eat a dozen cookies again. At least not on purpose. i think i may have to buy this book. the only reason i haven’t picked it up yet is because i usually get food books at the library to save money and they don’t have this book. 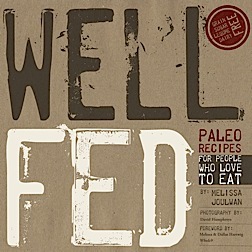 also, i checked out paleo comfort foods and it has simple recipes that are pretty solid. you might want to see if you can get it. I am seriously impressed. I am just trying to eat a little bit healthier (no significant life changes here) and its still killing me. I miss pizza and pasta. wow great job! i love your willpower! as i glance over at the cookies baking in the oven…:) i definitely need a detox after manu being here and going out for every meal practically. i would definitely try this! wow i’m impressed.. i don’t think i could do it! at what point to you start building in some treats?? Will you go back to eating everything after the 30 days? And are you officially allergic to something? I used to ignore the fact I’m allergic to wheat, but then had an episode in the ER last year, so I’m 100% more cautious. What do you eat? Like what do you bring to work? I want to do this but I’m a lazy sloth and I feel like I dont know how to avoid eating crap at lunch. What do you eat? I don’t get it. Kidding. I am so impressed… especially with all of your healthy cooking! Maybe I’ll give this a shot. But I need you to finish for me and report back with results. Obvee you’re my guinea pig. I think I need to get this cookbook just to add more healthy into my life. I try to be good, although that dreaded week before Aunt Flo comes, all bets are off. But I want to do more! Just curious, have you noticed any weight loss since starting? Awesome to hear! Glad you’re feeling better. The Creamy Avocado dressing was a lifesaver for me & I still eat it!